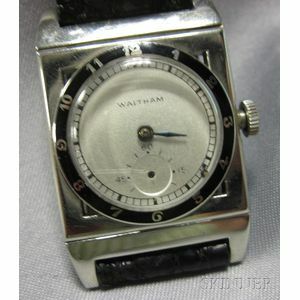 Art Deco 14kt White Gold Wristwatch, Waltham, the silver-tone metal dial with subsidiary seconds dial, enclosing manual-wind Lady Waltham movement no. 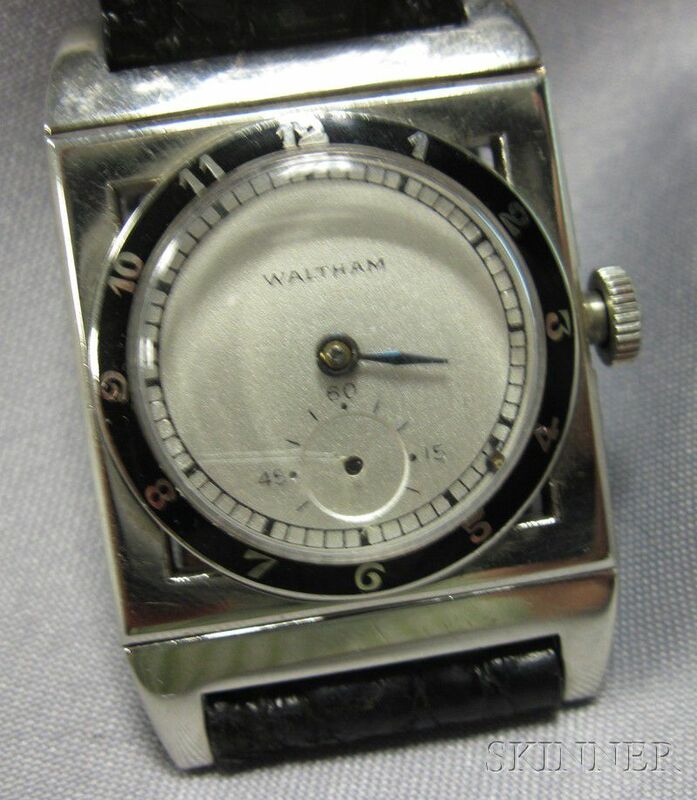 536410, black enamel bezel with Arabic numeral indicators, Keystone case no. 92651, 24 x 24 mm, completed by a later black crocodile strap.